There are many occasions when it might be advisable to wear ear plugs. They are most commonly used as for their protective qualities from sound, water and to protect the ears from damage. Along with these protective virtues, they are often worn following any invasive hearing tests or ear surgery. Selecting the correct type of ear plug is important as users should be both comfortable and optimally protected. Depending on the need for the plugs and the level of protection needed will influence which type of plug should be selected. In 2006 it became a legal requirement for your employer to provide ear plugs or other hearing protection devices to those employees who were exposed to 85db of sound or more. It is however the individual responsibility of the employee to use these devices once they have been provided. Your ears and the mechanism of hearing are very delicate and intricate instruments and processes. They can be come damaged very easily either from very loud short sharp bursts, from pressure or over time if you are constantly exposed to loud noises. Once they have become damaged there is no guarantee that this can be reversed or will heal itself. It is far better to protect yourself from damage once you know you are at risk and minimise the disruption to your ears. Wearing ear plugs when necessary either at work or during social occasions may help you to achieve this aim. 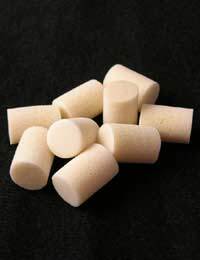 There are many types of ear plugs that can be worn to protect the ears from water damage. This may be because there is an existing ear infection, because you have a perorated ear drum or because you have a build-up of pressure.The best type of ear plug when exposed to water is those made of a waxy material. This substance does not let the water penetrate through and can be moulded to fit each individuals ear almost perfectly.They come in a variety of shapes, sizes and colours and can be single use or used again. Never share your ear plugs with others as this will not only change their shape and compromise the quality but more importantly can spread infections easily./Children may often be advised to wear ear plugs if they have had grommets inserted and paediatric ear plugs can be bought which are often a more suitable size for their ears. The use of silicone ear plugs has often been recommended for children as they tend to be softer and easier to fit but it is important to ensure they offer protection from water. Many jobs expose employees to loud noises or constant low sounds that can affect the ears over time.It is important to ask your employer for regular hearing tests and protective equipment if this is the case.Always choose a type of ear plug that is suitable for your shaped ears and find a material that you are comfortable with but will also offer adequate protection.For those individuals who like to listen to live music or go to loud clubs and pubs, there are some types of ear plugs that help to protect ears from any potential damage but do not prevent the music from being appreciated.These can be very useful; for staff at venues where live or loud music is played continually. Ear plugs are essential items when individuals are exposed to loud noises or continual sounds.Your employers may be obliged to provide the equipment needed but it is up to the person concerned to make sure they use these devices for their own protection.